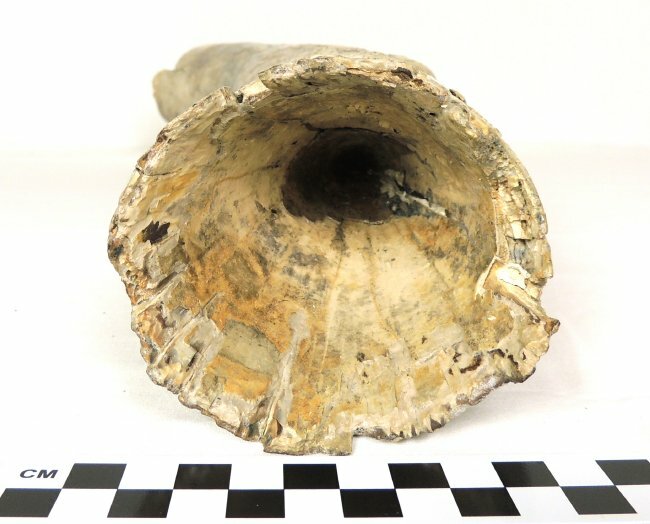 Portion of a mammoth tusk found in Winnebago County. Specimen includes the preserved root cavity and not much of a taper suggesting it is a mammoth (cylindrical shape, less taper than a mastodon). Based on the size of the tusk it is probably an adult. Mammoths were larger than mastodons. Their tusks were longer and more curved. They had small ears to conserve heat, a heavy fat layer, and a thick, shaggy coat of coarse hair. They were hunted by Paleoindians. The Kenosha Public Museum displays a mammoth that was found in Kenosha County, Wisconsin, and butchered by Paleoindians. Mammoths were grazing animals and ate grasses and sedges. 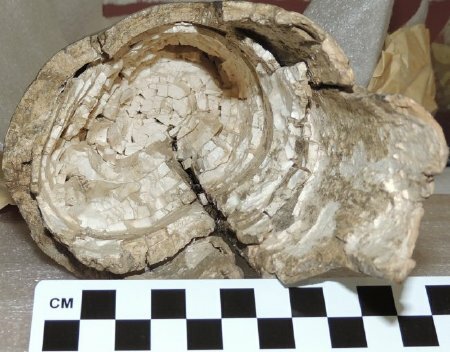 Like the mastodon, most mammoths went extinct about 10,000 years ago. However, small groups lived in Siberia up until 4,000 years ago. 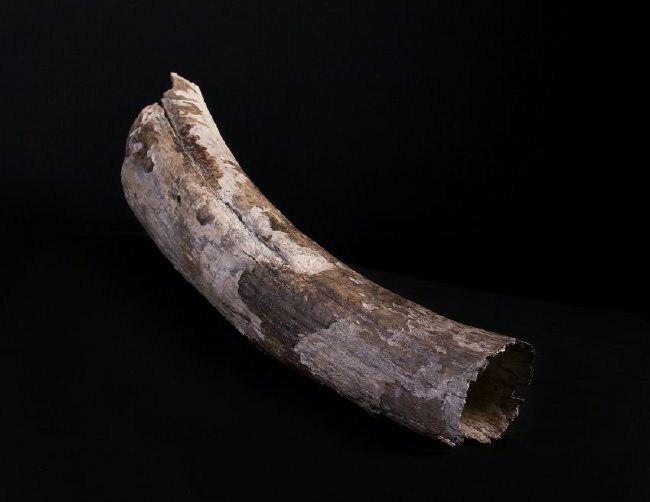 This tusk fragment was found in the 1970s near Clairville Road in Oshkosh. It is unknown whether other parts of the mammoth were recovered.